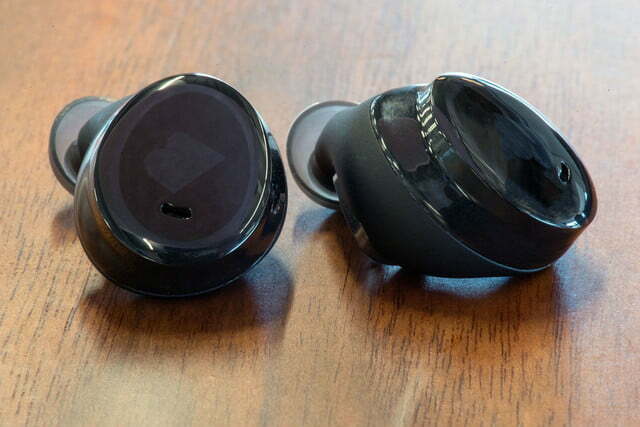 Bragi's Dash wireless earphones are packed with potential, but still feel like prototypes. It’s 2016. Drones fill the skies, electric cars drive themselves, and ecommerce giants are flying rockets into space that land themselves when they’re done. 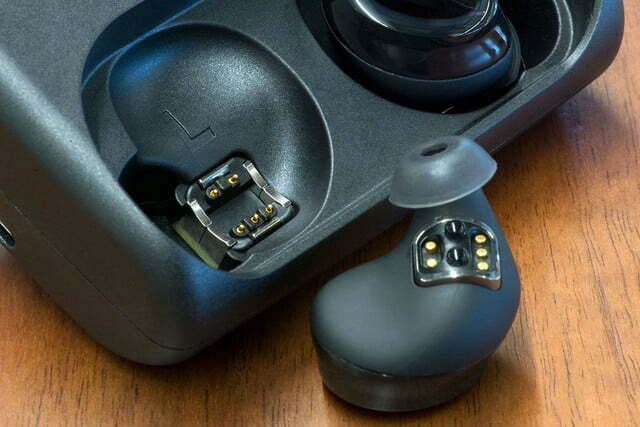 Why, then, is it so hard to create well-functioning, fully wireless earbuds? This task is a lot harder than you’d think, apparently. 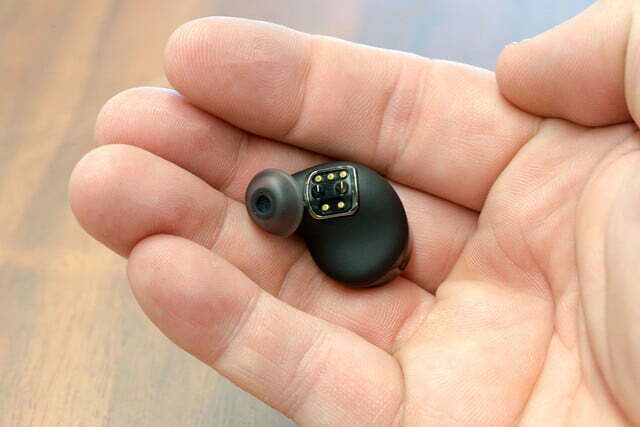 While a few companies have made progress toward grasping that earphone Holy Grail, making two tiny buds communicate with your phone and with each other — and reproduce some decent sound in the process — is no easy task. 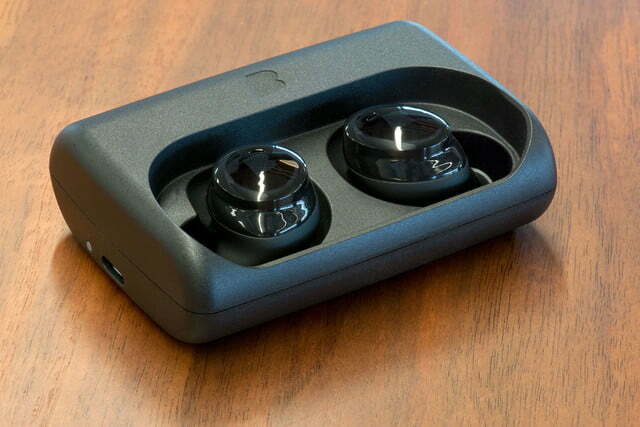 Kickstarter darling Bragi has been working for years to solve the puzzle with the Dash. 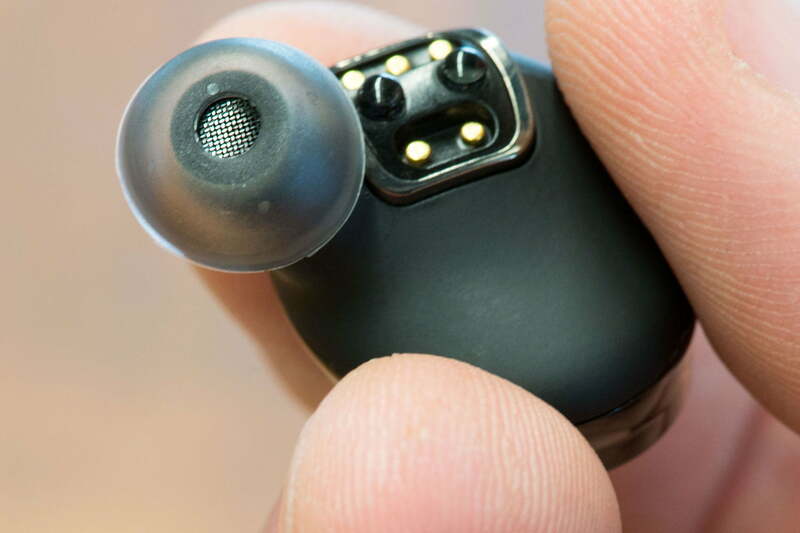 Loaded with a mob of sensors, microphones, and even 4GB of internal storage, the Dash aren’t just fully autonomous earbuds, they’re positioned as the smart wearables (or hearables) to replace all others in this brave new technified world. But with this grand ambition come some sobering realities, intensified by the Dash’s temperamental nature and $300 price point. We’ve had literally hundreds of headphones roll through our doors over the years, but the Dash’s setup is truly unique. Opening the book-style box reveals the ebony earpieces within, affixed to magnetic plates in an oyster-shell case of hefty metal that serves as both their home and their charger. 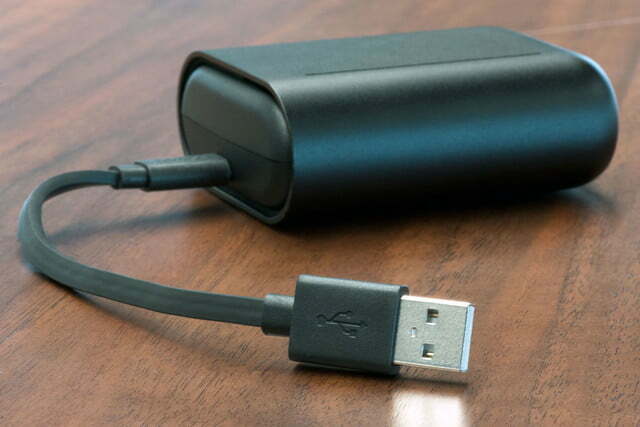 The buds offer around two or three hours of use per charge, while the case itself holds as many as five charges. Set above and below the Dash are all the necessities, including a robust slide that keeps them packed in like sardines for travel, as well as a microUSB to USB charging/sync cable, and a small baggy of FitSleeves, which stretch over the earpieces to perfectly conform to your ears. Once you’ve freed them from their package and activated them by plugging them into your Mac or PC, the Dash wake up with pulsating circlets of blue light. The Dash’s software is a work in progress, which means you must charge them for two hours, download the latest firmware (as directed by Bragi’s website), and wait one-two hours for the firmware to update. Then, and only then, will you be able to pull your gleaming new earphones from their case and give them a shot. Unlike most wireless buds — including the fully wireless Earin — getting acquainted with the Dash involves a steep learning curve. Packed inside each bud are multiple sensors, from accelerometers to gyroscopes, heart-rate monitors, multiple microphones, and a flash drive for internal storage, which we’ll get to in a moment. While all that tech makes for some intuitive functionality once they’re up and running, getting the hang of it all is a heady task. 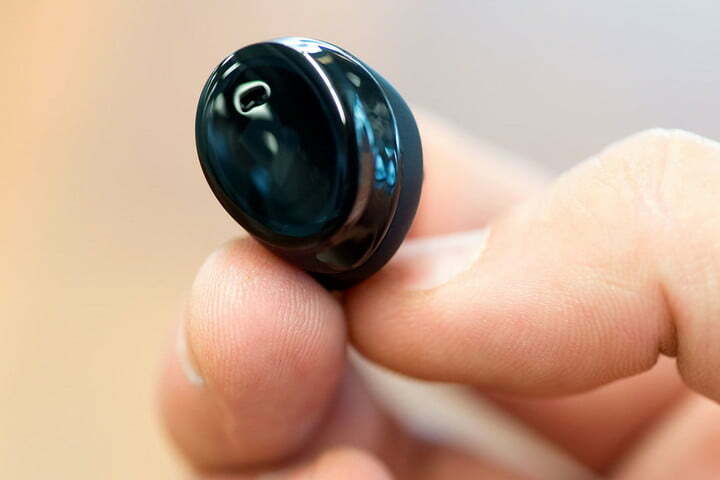 Packed inside each bud are 23 sensors, from accelerometers to heart rate monitors. First things first: You’ll need to pair the buds to your device, which means an introduction to the Dash’s temperamental touch controls. 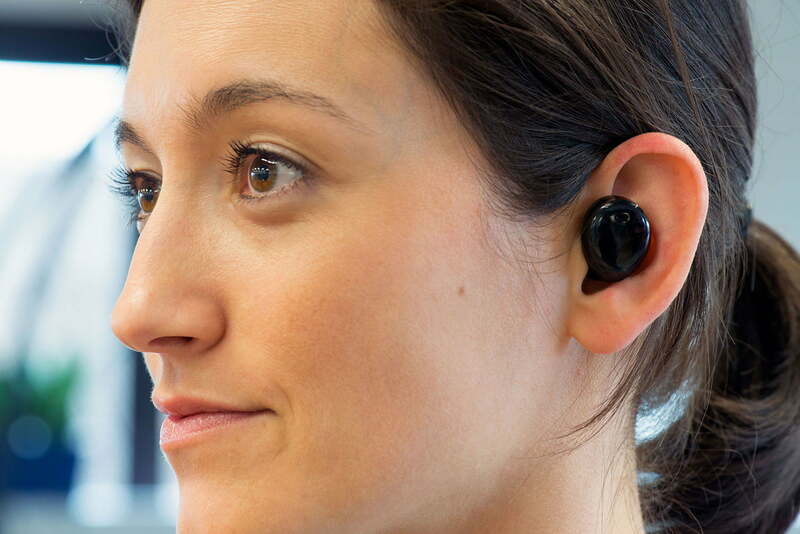 Each earpiece responds to the same set of gestures, including tap and hold commands along the bottom of the earpieces, and back-and-forth swiping at the center. Tapping and holding the right earpiece prompts the Dash to pair with your phone (with confirmation from a female voice). Once connected, swiping forward or backward adjusts volume, a single tap can take calls or pause/play music, and double or triple tapping skips forward or backward — at least that’s the idea. With the Dash’s business end dug deep into your ear canal, tapping just once effectively can be pretty tricky, let alone a double or triple-tap. Swiping is much more fluid, which is a good thing considering it controls the most commonly used functions: volume control on the right earpiece, and “Transparency” on the left. 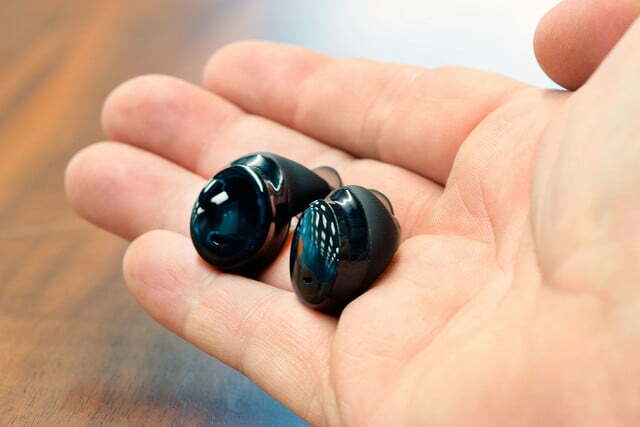 There’s no active noise cancelling, but the Dash do have good passive noise isolation, so Bragi built in microphones that can transmit the world around you back to the buds when the Transparency feature is engaged — extremely handy for jogging or biking. Loaded with sensors meant to delineate data like heart rate and footsteps taken, the Dash also have workout modes built in, accessible by holding down the left earpiece. For avid runners, however, it’s a good thing that’s the first choice. As with song skipping, double tapping to access the cycling and swimming modes is damn-near impossible to execute with any consistency. 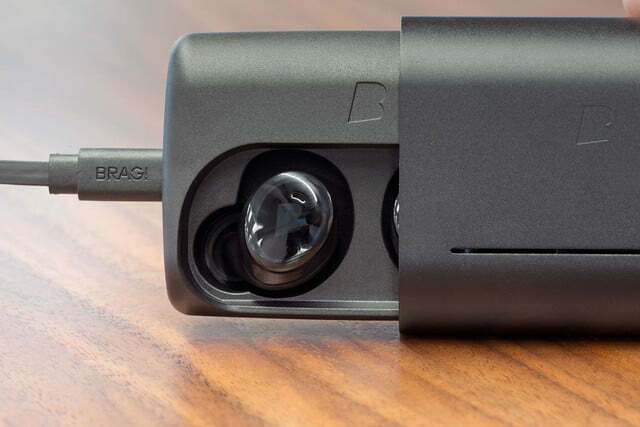 You might assume Bragi’s dedicated app would offer some respite there, but apart from serving as an on-the-go manual, it’s extremely limited, focusing on volume, Transparency, and basic profile settings. You can also engage or disengage macros — which, at present, offer the ability to shake your head or nod for cancelling or taking phone calls — but the Dash rely heavily on touch controls. One of the most intriguing features incorporates not only the 4GB of onboard storage, but also waterproofing, allowing you to take your music virtually anywhere. Again, however, there’s a learning curve involved with loading up music: Once you’ve correctly dragged your files to the Dash from your computer, the buds must be unpaired before the music is accessible. That makes moving between internal and external music a chore, limiting any usefulness of having both. Riddled with potential, the Dash are at once thrillingly intuitive, and frustratingly fickle. In fact, fickle is a word that came up again and again in this evaluation. Case in point? As we write this review, the Dash are stuck in Bluetooth limbo, unwilling to pair to our device. That lack of reliability is all the more irksome considering the Dash’s sparkling promise as the ultimate solution for all of your audio and fitness needs. So close, and yet so far. When all cylinders are firing, there is nothing cooler or more satisfying than rocking the Dash for workouts. 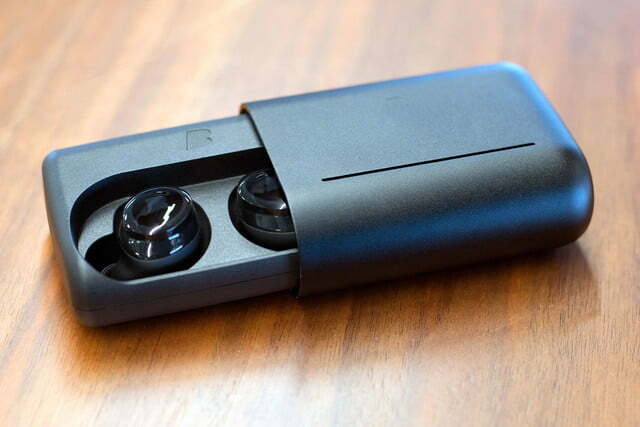 You transfer them from their sleek case to your ears and they sync up with your phone like clockwork, ready for whatever adventures are in store. Volume adjustments on the fly are a breeze with a quick swipe, and Transparency brings in the world around you just as easily, making a jog to your favorite tunes safer and a lot more fun. Taking them out auto-pauses your tunes and your workout tracking, and putting them back in gets things rocking again. Unfortunately, even putting aside the awkwardness of some of the touch controls, things just don’t work as planned on too many occasions, thanks in large part to shaky Bluetooth connection. Since the right earpiece connects to the phone (and in turn connects to the left earpiece via Near Field Magnetic Induction), you must always keep your phone on the right side of your body, often outside your pocket. In fact, moving your device more than an arm’s length away can result in a lost connection. While the macros for auto-answering seem cool, using the Dash for phone calls is pointless. The bone-conduction microphone seems to pick up everything but your voice, making calls in populated areas impossible. Even making a call home from a silent hotel room produced crackly and slightly distorted sound that made us wish for Apple Earpods – no good. Thankfully, the Dash sound really good. When everything is working correctly, the Dash’s balanced armature drivers deliver impressive audio for a Bluetooth bud loaded with so much hardware. As usual, the wireless connection tends to obscure sound a bit, and the overall stereo image isn’t brilliantly clear, but there’s plenty of detail at the attack of instruments, matched by a smooth and warm color to the midrange. Bass is full and relatively tight — as long as the earbuds are inserted correctly — and even upper register instruments, such as the sleigh bells in Brian Wilson’s God Only Knows, cut with accuracy, as do the little horse-clop percussion clicks in the song. In fact, the latter was rendered with such presence and character that we found ourselves zeroing in on it, pleasantly nodding as the sounds clicked their way around Wilson’s earnest vocal melodies. 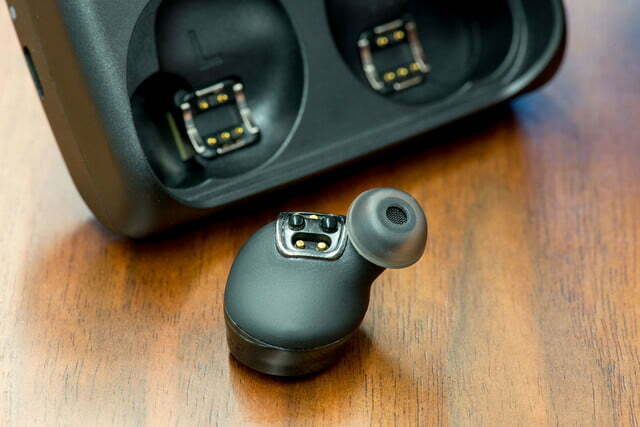 In comparison, the Earin wireless buds — the only other autonomous buds we’ve had in-house — offer a bit more clarity and some extra zing in the midrange and treble, but the Dash bring a slightly comfier ride, with a bit of extra warmth. But, again, inconsistencies marred our experience. On one occasion, music cut out of the right earpiece completely, and the Dash had to be placed back in their cradle to reset (a common requirement in general). At other times the center image would waver a bit, leaning to the right sometimes, to the left others. 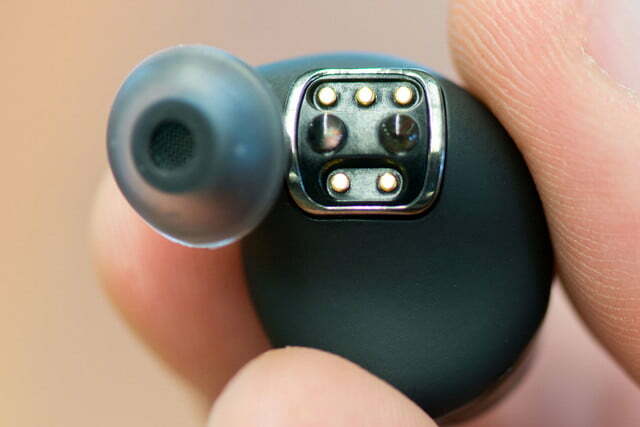 However, that’s something we’ve noticed with the Earin, as well, and come part and parcel with the complexities of wirelessly linked earphones for now. When everything works according to plan, the Dash are a brilliant example of high-end audio technology, with features galore and a cool-factor that blows through the roof. Unfortunately, the Dash still feel more like a prototype than a sterling example of cutting-edge tech. While we hope the Dash can one day fly as high as Bragi intended, for now we’ll reserve our $300 for earbuds settled on steadier ground.